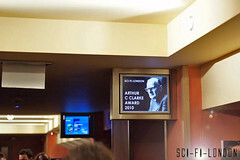 The Arthur C Clarke Award is the most prestigious award for Science Fiction in Britain, presented annually for the best Science Fiction novel published the previous year. 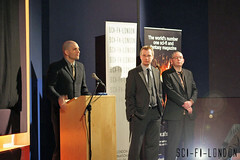 The award was established with a grant from Science Fiction master Arthur C. Clarke and has been running since 1987. 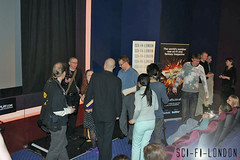 A panel of judges shortlist a number of books and a single winner is chosen. 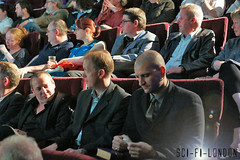 The 2010 Judges panel consisted of representatives from the British Science Fiction Association (Chris Hill and Jon Courtenay Grimwood), the Science Fiction Foundation (Francis Spufford and Rhiannon Lassiter) and a SF Crowsnest (Paul Skevington). 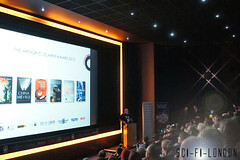 The winning prize is a commemorative engraved bookend a cheque for a number of pounds sterling equal to the current year (£2010 for year 2010) at a special award ceremony traditionally held on the opening evening of the SCI-FI-LONDON film festival. Bibi (it means princess) is the sole survivor of a massacre. Lady Nef, the General's wife, stops the General taking her as a concubine, winning Bibi's eternal and passionate devotion. Years later, a diplomatic mission to a supposedly friendly planet ends in disaster. Bibi, now a junior officer in Lady Nef's household, is incarcerated with her mistress in the notorious high-security prison on Fenmu. Lady Nef, 150 years old when arrested, dies in prison; she bequeaths to Bibi her rank, her level of access to the AI systems that permeate the Diaspora of inhabited planets, and a highly secret set of 4-space co-ordinates. 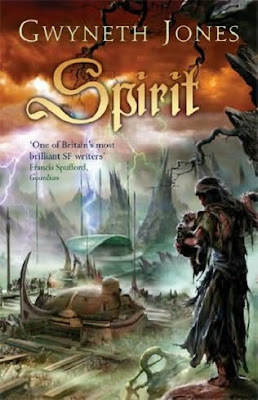 Bibi uses Lady Nef's death to escape from Fenmu, finds Spirit, an instantaneous-transit space pod, and follows Lady Nef's co-ordinates to a treasure beyond price: a virgin, perfect, uninhabited planet. Soon after this, the mysterious, fantastically wealthy Princess of Bois Dormant makes her debut in the high society of Speranza, the Diaspora's capital city. Thus disguised, Bibi sets out to discover why she and her mistress were condemned to a living hell; and to punish the guilty. Twenty years have passed: Lady Nef's enemies now rule Speranza. As she uncovers a forgotten, ruthless and far-reaching conspiracy, Bibi's vengeance is transformed into a project of world-changing reparation. fiction authors in a dacha in the countryside somewhere. 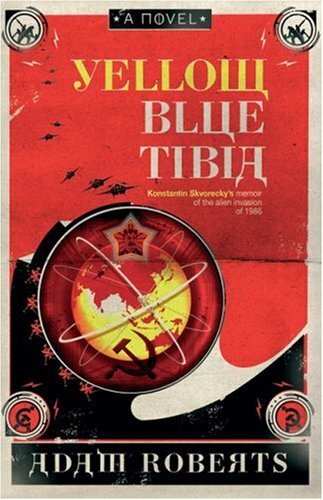 Convinced that the defeat of America is only a few years away, and equally convinced that the Soviet Union needs a massive external threat to hold it together, to give it purpose and direction, he tells the writers: 'I want you to concoct a story about aliens poised to invade earth ... 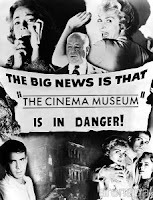 I want it to be massively detailed, and completely believable. If you need props and evidence to back it up, then we can create them. But when America is defeated, your story must be so convincing that the whole population of Soviet Russia believes in it--the population of the whole world!' The little group of writers gets down to the task and spends months working on it. But then new orders come from Moscow: they are told to drop the project; Stalin has changed his mind; forget everything about it. 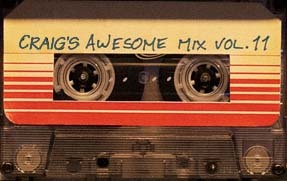 So they do. They get on with their lives in their various ways; some of them survive the remainder of Stalin's rule, the changes of the 50s and 60s. And then, in the aftermath of Chernobyl, the survivors gather again, because something strange has started to happen. The story they invented in 1946 is starting to come true ... A typically mind-blowing SF novel from one of the genre's literary stars. The body of a murdered woman is discovered in the remarkable, crumbling European city of Besźel. 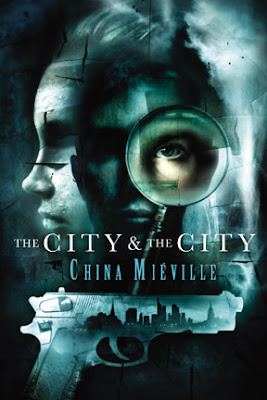 Such a crime is par for the course for Inspector Tyador Borlú, who is the premier talent of the Extreme Crime Squad – until his investigations uncover evidence that bizarre and terrifying forces are at work – and soon both he and those around him will be in considerable peril. He must undertake an odyssey, a journey across borders both physical and psychical, to the city which is both a complement and rival to his own, that of Ul Qoma. The dazzling new novel from the acclaimed author of the groundbreaking MARS trilogy follows Galileo on an amazing journey from the dawn of the modern world to a future on the verge of a completely new scientific breakthrough. Late Renaissance Italy abounds in alchemy and Aristotle, yet it trembles on the brink of the modern world. Galileo's new telescope encapsulates all the contradictions of this emerging reality. Then one night a stranger presents a different type of telescope for Galileo to peer through, enabling him to see the world of humans three thousand years hence. Galileo will soon find himself straddling two worlds, the medieval and the modern. By day his life unfurls in early seventeenth century Italy; by night he is transported through dimensions of time and space no other man of his time could possibly comprehend. Inexorably, Galileo faces trial for religious crimes in his own time, while in the new world he discovers, where science assures men that they can perform wonders, but does not tell them what wonders to perform, he is revered. 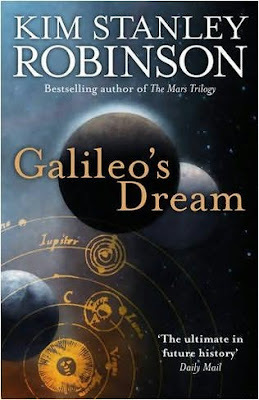 This sumptuous, gloriously thought-provoking and suspenseful novel recalls Robinson's magnificent Mars books as well as bringing to us Galileo as we have always wanted to know him. Every day I buckle on my guns and go out to patrol this dingy city. Out on the far northern border of a failed state, Makepeace patrols the ruins of a dying city and tries to keep its unruly inhabitants in check. Into this cold, isolated world comes evidence that life is flourishing elsewhere — a refugee from the vast emptiness of forest, whose existence inspires Makepeace to take to the road to reconnect with human society. What Makepeace finds is a world unravelling, stockaded villages enforcing a rough and uncertain justice, mysterious slave camps labouring to harness the little understood technologies of a vanished civilization. But Makepeace’s journey also leads to unexpected human contact, tenderness, and the dark secrets behind this frozen world. 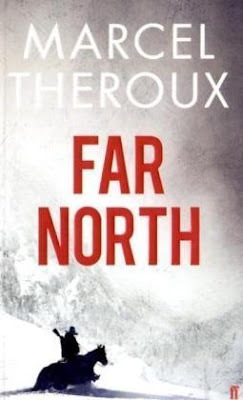 FAR NORTH leads the reader on a quest through an unforgettable arctic landscape, from humanity’s origins to its likely end. Bleak, haunting, spare — and yet ultimately hopeful, the novel is suffused with an ecstatic awareness of the world’s fragility and beauty, and its unexpected ability to recover from our worst trespasses. Frey is the captain of the Ketty Jay, leader of a small and highly dysfunctional band of layabouts. 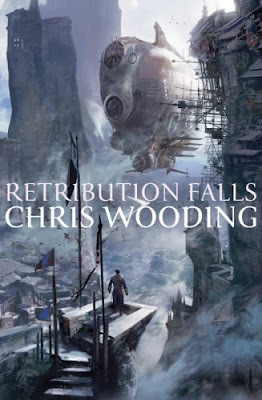 An inveterate womaniser and rogue, he and his gang make a living on the wrong side of the law, avoiding the heavily armed flying frigates of the Coalition Navy. With their trio of ragged fighter craft, they run contraband, rob airships and generally make a nuisance of themselves. So a hot tip on a cargo freighter loaded with valuables seems like a great prospect for an easy heist and a fast buck. Until the heist goes wrong, and the freighter explodes. Suddenly Frey isn't just a nuisance anymore - he's public enemy number one, with the Coalition Navy on his tail and contractors hired to take him down. But Frey knows something they don't. That freighter was rigged to blow, and Frey has been framed to take the fall. If he wants to prove it, he's going to have to catch the real culprit. He must face liars and lovers, dogfights and gunfights, Dukes and daemons. 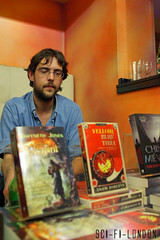 It's going to take all his criminal talents to prove he's not the criminal they think he is ..
From the Arthur C Clarke Award web site:"This year’s six shortlisted titles were selected from a long list of forty-one eligible submissions put forward by seventeen different publishing houses and imprints. A full list of this year’s eligible submissions was released via the popular Torque Control Blog earlier this month." 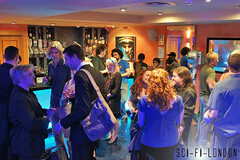 Which brings us to last Wednesday and the opening evening of the SCI-FI-LONDON 9 Film Festival, the opening reception of which is blogged here. 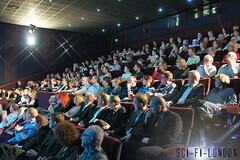 The call for the Award ceremony to begin the and as the well dressed crowd made its way to one of the screening rooms at the Apollo Piccadilly Cinema there was a genuine air of anticipation as the UK Sci-Fi literary year culminated in this night. 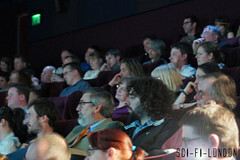 Seats were taken by the crowd made up of publishers, authors, members of the science fiction community and special guests and again the room filled up quickly. 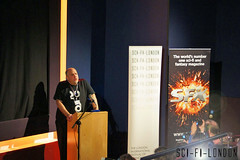 Festival Founder and Director Louis Savy took the podium for what I think was his first formal talk of this years SCI-FI-LONDON festival. 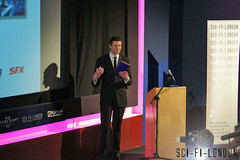 With typical aplomb and showmanship Louis thanked guests for coming along and officially opened SCI-FI-LONDON 9 as well as kicked off the ARTHUR C CLARKE AWARD ceremony to the sound of the crowds eager clapping (& a couple of hoots). Next up to the podium was Arthur C Clarke Award Administrator Tom Hunter introducing the Arthur C Clarke Award evening without the aid of notes. Hunter was in fine form and very entertaining. 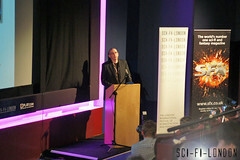 He also delivered a touching remembrance to Arthur C Clarke. 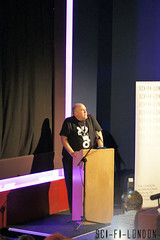 Hunter was followed up to the Podium by his “straight man” and Chair of the Judges Paul Billinger who gave a really quick synopsis (and great primer) of the six shortlisted books (which can be seen in the clip below) finally SFX Magazine editor Dave Bradley took to the podium to announce the winner of this year’s Arthur C Clarke Award. If you are a film fan watch the video of the winner announcement below till the end for a special treat. 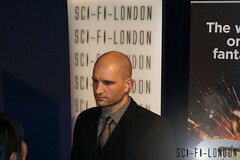 Below, the Arthur C Clarke Award 2010 winner China Miéville introduces his winning book The City & The City. And here is a video from the Arthur C Clarke Award website of China Miéville’s (three time winner of the Arthur C Clarke Award) acceptance speech. 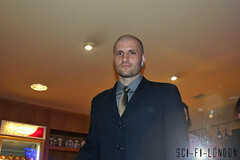 Clearly a crowd favourite Miéville made his way back to his seat to ongoing cheers. Immediately after and for the rest of the evening Miéville was mobbed and deservedly the focus of attention for everyone. 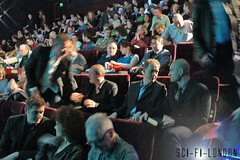 At this point half the crowd left the Apollo Piccadilly to head off to the SFX Magazine after party, allowing a fresh influx for the final part of the evening, the first London screening of Vincenzo Natali's Splice.